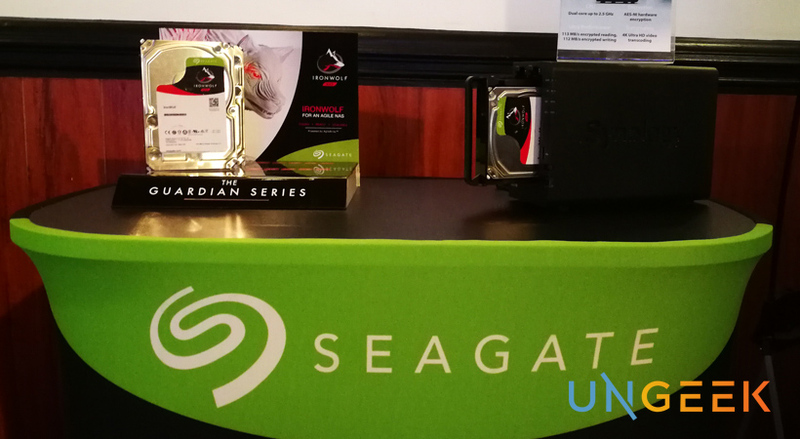 A couple of week back, Seagate Philippines reiterates its commitment in providing sound and safe data storage for the modern Filipino entrepreneur or business owner. Highlighting their IronWolf and IronWolf Pro that are NAS (Networked-attached storage) and RAID (Redundant Array of Independent Disk)-ready for small and medium businesses. To the layman, this simply means creating your own data server. Most small to medium-sized companies would probably get their data storage space allocation via a third-party provider over the cloud (i.e. 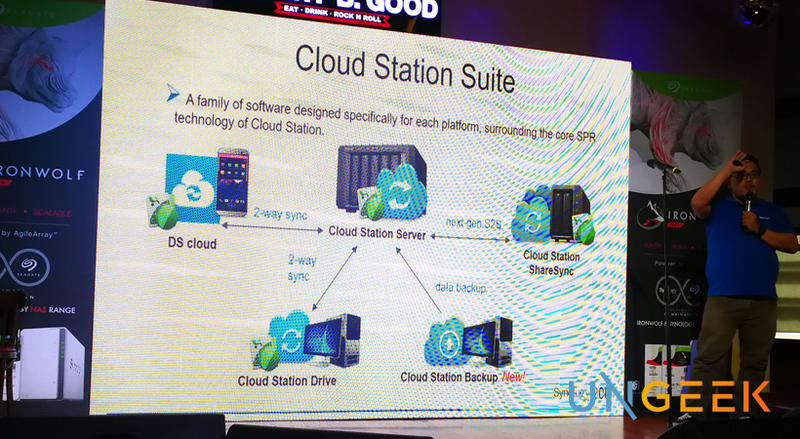 Amazon, Google, etc), and while the thought of creating your own centralized data-center might be unnerving and even impractical, Seagate is saying otherwise. When data is central to your business or to your day-to-day function, ensuring that you’re in control of where and how you store it becomes critical. That’s why even third-party server providers have multiple redundancies in place to ensure that whatever data they are being payed to host stay as safe as humanly possible. Plus, if you’re already shifty with people prying over your shoulders when you type anything on your phone then you’re most likely to be shifty with unauthorized personnel prying over whatever data you or your company stores. This is where Seagate comes in. As a company whose sole expertise is data storage (and data privacy), they’ve come up with various solutions for optimal storage and data recovery. From compact SSHD to high-capacity HDDs, Seagate has a solution for each market segment and when you need a stronghold of memory storage for your business, Seagate offers IronWolf and IronWolf Pro – two high capacity, super sturdy hardware that’s designed to keep your files safe and your business running worry-free. Iron Wolf is Seagate’s sturdy hard drive for NAS and those that require constant data access and exchange 24×7. The high-cap up to 12TB storage space of the Iron Wolf ensures that you have enough storage options for your business workload. If that isn’t enough, you can always link two or more of them together in your NAS box. If you need a stronger workhorse then there’s always the IronWolf Pro – a tougher option for those with more multiple-users accessing the data drives (best for small to mid-size creative agencies and content developers). And with IronWolf and IronWolf Pro being RAID-ready, once you set one up, you can be sure that your data is protected against possible hardware failure. If on the extreme end that you need to get your data rescued, don’t worry. 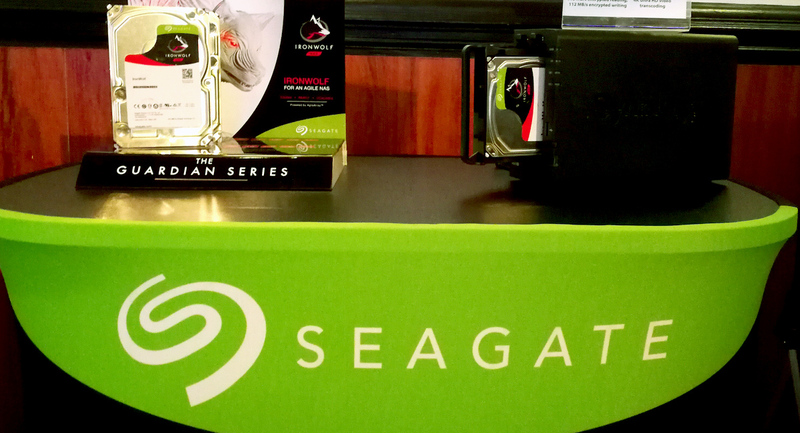 Seagate has got you covered. Introducing Seagate’s Rescue Data Recover Service. One of the standard feature that the IronWolf Pro comes with (2 years enrolled). This is another step in reassuring that your data, regardless of what happens, is in safer hands. The Rescue Data Recovery Services is a specialized service by Seagate to, well, rescue whatever data that can be rescued in cases that the drive becomes corrupted and/or physically tampered with (i.e. in the case of severe natural disasters or fire). 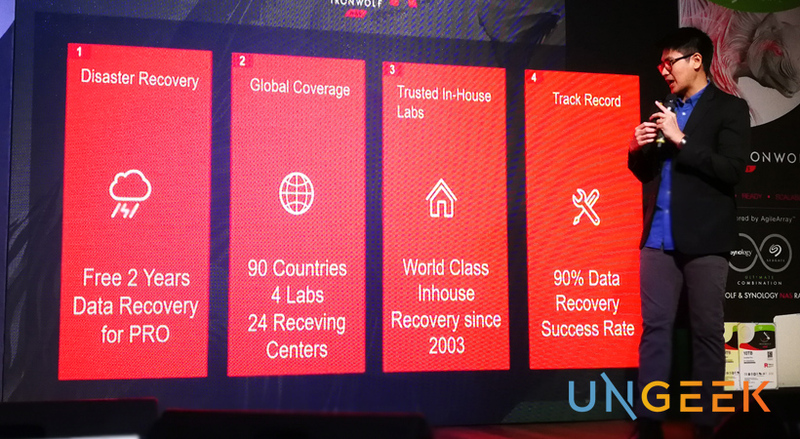 How extensive the data recovery could be, it’s hard to say specifically, but according to the guys at Seagate during the brand event about 2 weeks back, success rate is on the up and up with above 90% chance of full recovery. Synology and Seagate have worked hand-in-hand to ensure that you can get the most out of your IronWolf and/or IronWolf Pro. Synology offers NAS boxes with built-in apps so you can create your own cloud network and customize who can access your data and from where. Synology even has various Android and iOS apps that enable you to gain access to your data storage regardless if you’re on the local network or outside of it. If you have a big enough household and want to have a centralize data storage of all your connected media (music, photos, videos), Synology and Seagate can help you out as well. For more information on Seagate’s IronWolf and IronWolf Pro kindly check their Facebook and Official Page.